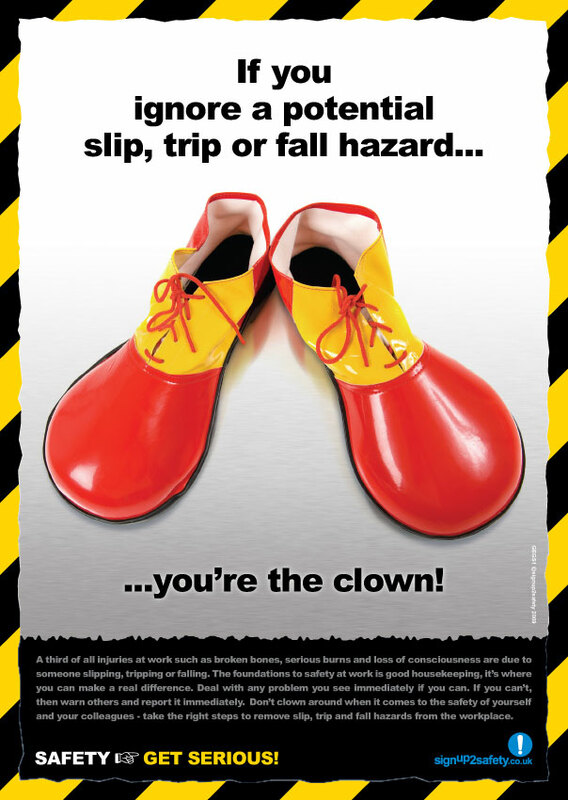 If you ignore a potential slip, trip or fall hazard… you’re the clown! A third of all injuries at work such as broken bones, serious burns and loss of consciousness are due to someone slipping, tripping or falling. The foundations to safety at work is good housekeeping, it’s where you can make a real difference. Deal with any problem you see immediately if you can. If you can’t, then warn others and report it immediately. Don’t clown around when it comes to the safety of yourself and your colleagues – take the right steps to remove slip, trip and fall hazards from the workplace.